Our horse rescue has many horses currently available for adoption and looking for a forever home. We try our best to post all of our available horses to the website, however we still have numerous horses at the farm which have not been listed yet. Continue checking this page periodically to see new horses added to our adoption page, or contact us at raradoption@gmail.com to schedule a visit and see who all is available for leasing and adoption! Many of our horses listed here for adoption will be heading to camp for the summer months (June-August). Because summer camps are one of the core income for these horses we will have to put several of theses horses adoption availability on hold until camp is over. Please feel free to message us about any horse that you see below and we will provide you with information about them, but please keep in mind that select few may be scheduled to go to camp and will not be available for adoption till mid to late August. Thank you so much for your interest and understanding! 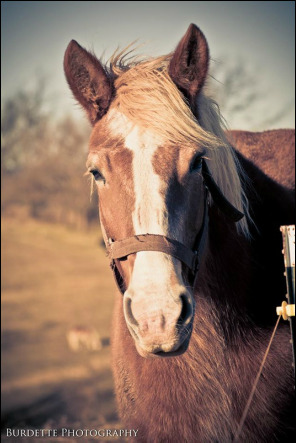 We look forward to talk with you and finding a horse that fits you and your family needs. 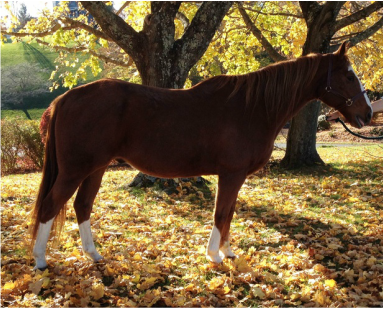 Mordecai is a 12 year old Quarter Horse with a beautiful coloration and sweet temperament. Coming in at about 15.1 hands, he is a great size for many riders, and has a smooth gait. Mordecai does have two large scars on either side of his withers where he was bitten by a stallion as a foal. These two areas can be sensitive and cause irritation if a poorly fitted saddle is being used. If you prefer the western discipline then we recommend using a well fitted saddle with a quality saddle pad. Otherwise, he would be well suited for english disciplines. Mordecai will do well for any discipline and does great on the trails. He can become buddy sour if left to field for a long period of time without being ridden. He would be suitable for any level of rider if ridden regularly. 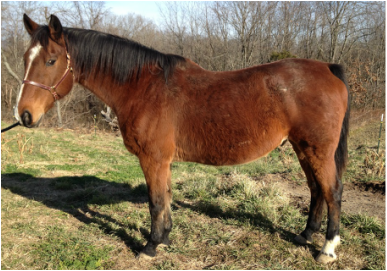 Alice is a 14.2 hand Quarter Horse who has a sweet temperament and a big 'ole hay belly! Alice came to us after receiving a call from animal control regarding an animal neglect case. We picked her up along with four other horses from the same farm, and all five of the horses were essentially skin and bone. We are very happy that Alice, along with the rest of her herd, have recovered and are ready to find forever homes. We don't know much about Alice's history, but we do know that she had had some experience in gaming. Since she has regained her physical health, we have been using her for riding lessons for younger kids and she has been wonderful. Aside from being a little difficult to catch sometimes, she has great ground and field manners. Alice would be a great companion horse or a beginner horse for kids who are just learning how to ride. We do not recommend her for adults due to her age. Autumn is an 11 yr old Quarter Horse Mare who is a favorite at the rescue, and possibly has one of the sweetest temperaments out of all the horses. She has been trained at a walk/trot/canter, although sometimes it can be difficult to motivate her into the canter and maintain the pace. Along with having great ground/field manners, Autumn is an excellent trail horse who isn’t fazed by much. Autumn is a slow mover, in the field and under saddle. She has the movement and tendencies of a working horse, but don’t know enough about her background to confirm what she used for in the past. Autumn is versatile and would be suitable for any experience level. She is great with inexperienced riders, but with the right intermediate/advanced rider, she also has the potential to be a great working farm horse as well. 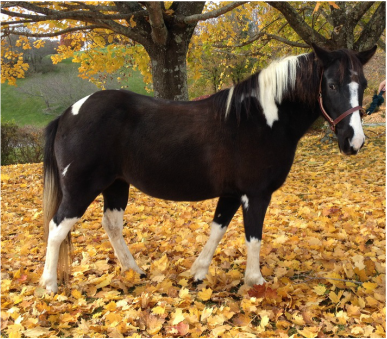 Belle is a well-built 10 yr old QH who is ready to ride. She came to us as a result of a rescue seizure from her previous home. She has been registered with the AQHA, but as a result of her being seized from her former owner, Belle’s registration papers were never turned over to Winterfrost. She has been professionally trained in roping and is a wonderful mover with great ground and field manners. She would be ideal for a beginner rider who is solely riding in the ring, or an intermediate rider who wants a working horse. Belle will need routine hoofcare as she does wing inward with her front feet, and it is advised that she wear boots to protect her legs. 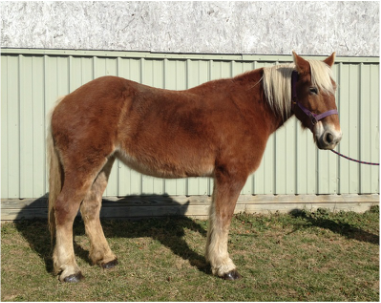 Jon is a well-built 8 yr old Haflinger who is ready to ride and drive. Winterfrost does not have registration papers for Jon, and we are not sure if he was registered by his previous owner or not. He has been professionally harness trained, and can be driven as a single or in a team. Along with being harness trained, Jon can also be ridden under saddle at a walk/trot/canter. Jon can be a little stubborn when ridden under saddle, so we recommend him for an intermediate or advanced rider if wanted for under saddle riding. Jon can be a little more dominant in the field; although he has great ground manners and is considerate of other horses on the trail. 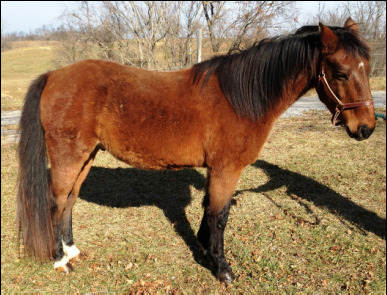 Buster is a 10 yr old Tennessee Walking Horse who is ready for his new forever home. He is a naturally gaited Walker who can ride at a Flat Foot Walk/Running Walk/Canter. 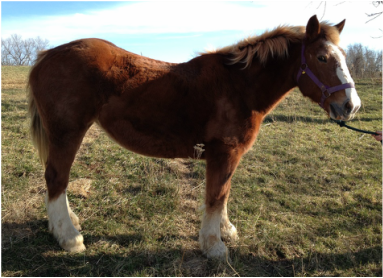 Buster was given to Winterfrost after he severely injured his back right leg in the pasture. After much care from his previous owner, his leg healed but was left weakened by the trauma. Due to weakness in the leg, Buster’s riding activity does need to be limited to less than 4 hours a day. He is bossy in the field, but has good ground manners when being worked individually. Buster is suitable for anyone from a beginner to an advanced rider who wants a horse for light trail riding. 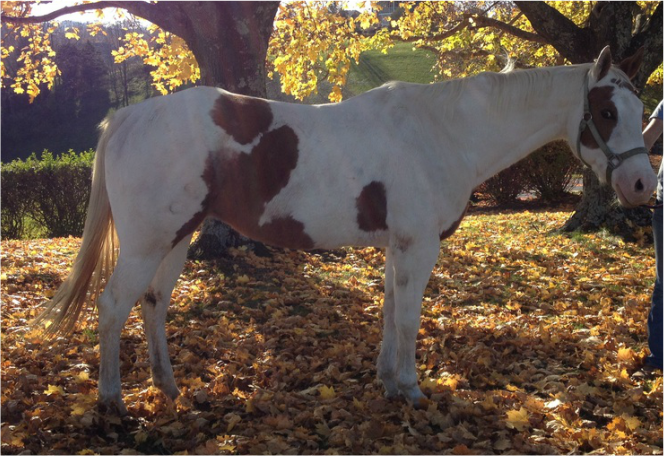 Chexy is a well-built 6 yr old QH who is still green but very willing to learn. She came to us (with Belle) as a result of a rescue seizure from her previous home. She has been registered with the AQHA, but as a result of her being seized from her former owner, Chexy’s registration papers were never turned over to Winterfrost. She is a wonderful mover who could be trained for anything from working pleasure to jumping. With great ground and field manners, she is easy to fall in love with and will challenge her riders. She would be ideal for an advanced rider who is looking for an all-around horse. 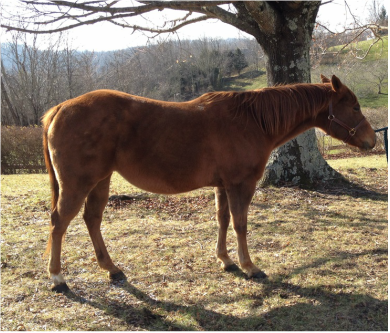 George is a sweet tempered 22 yr old Quarter Horse who is great with kids. He would be great for children at a walk/trot/canter in the ring or light trail riding. George has bilateral navicular in both of his front feet which limits his riding activity and requires him to have regular hoofcare. It is recommended that his riders be kept under 130 lb, and he not be used for rough terrain trail riding. He is an easy keeper and would be ideal for as a first horse for the kids. 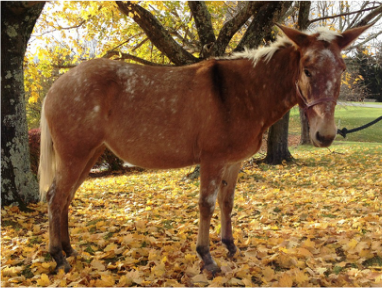 Lena is a beautiful 12 yr old Appaloosa Mule. She is not gaited, but rides well at the walk/trot/canter. While stubborn at times and a little pushy on the ground, she is great on the trails and is considerate to the other horses. Lena recently had her left eye removed as a result of ulceration from an old injury, but she doesn’t let that stop her from having fun in the field or on the trail! This molly would be suitable for an intermediate to advanced rider who can patiently work past Lena’s stubbornness and ultimately enjoy a great trail mule. Little Bit is an adorable 10 yr old Paso Cross. She is not gaited, but rides well at the walk/trot/canter. Along with being even tempered under saddle, she has wonderful ground and field manners which make her well suited for children. She has a sweet temperament that makes it easy to hook the kids into loving on her. Little Bit would be great as a beginner lesson pony or as a trail pony for the little ones. 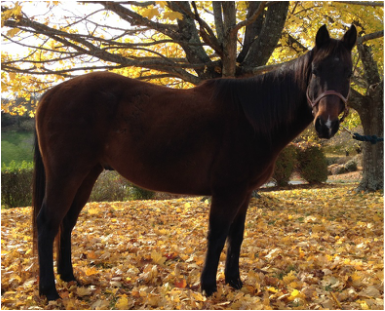 Nibbler is a 10 yr old Quarter Horse with a sweet temperament. Nibbler came to Winterfrost from the Floyd County Humane Society, where he was rescued from his previous home. Upon arriving at the farm, he was incredibly thin. As you can see, he has filled out nicely, and surprisingly enough is quite an easy keeper. While still green, he has shown a lot of promise in training under saddle. He is an athletic horse and has the potential to be trained in either english or western. 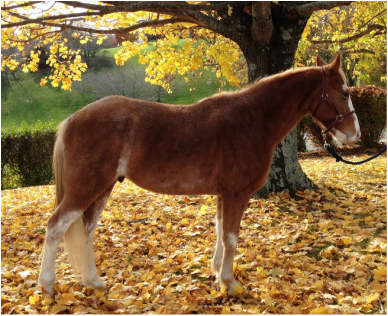 Nibbler would be suitable for an advanced rider who is willing to put in the hard work to help him reach his potential. 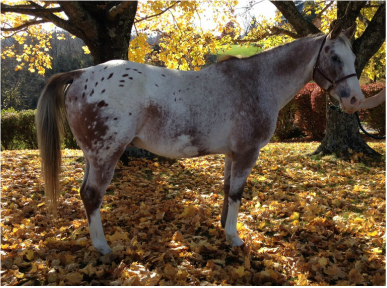 Rambo is a 16 yr old Appaloosa who is nice to look at. He can be a little pushy with his ground manners, but is even tempered in the field. He is great on the trails and responds easily to the walk/trot/canter. Rambo has been on pasture rest recently since he was diagnosed with navicular in his front feet. With routine hoofcare, he could be used for light trail riding. Rambo has had both eyes treated for possible squamous cell cearcinoma. Rambo would be ideal for an intermediate rider who is looking for a smooth ride but can handle a stubborn horse at times. Sonia is an 18 yr old Paint who is trained under saddle and is thought to have been a working horse as well. She has a smooth walk/trot/canter, and is eager to go. She is a great trail horse who will practically go anywhere and do anything you ask of her. She is a little quick on the trail, and we are currently working on teaching her to slow down. We know that Sonia has foaled in the past, but we are unsure how long ago this was and how many foals she has produced. Sonia is an incredibly intelligent horse and would benefit most from an intermediate rider who is willing to learn. Thunderbolt (Bolt) is a 20 yr old Arabian/Warmblood cross who is one of our “go to” horses for beginner trail rides and lessons. Bolt has a personality that is hard not to adore which also makes him a great horse for the kids who come out to the barn. Bolt has a big appetite, and it sometimes hard for him to resist the buffet he tends to find on the trail. But even with his occasional snack breaks, he is a great trail horse. He has great field manners, and it comes as no surprise when he comes walking up to you as soon as he hears the chain on the gate. Bolt is suitable for any experience level and any discipline. 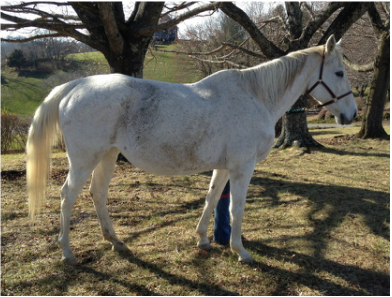 Trix is a 12 yr old off the track thoroughbred who is a favorite at the rescue. Coming in around 16.2 hands, he is easily one of our taller horses which makes him even more fun to ride for many of the volunteers! While he is an off the track thoroughbred, Trix has a very calm temperament both on the ground and in the saddle. We think that he may have been shown as a hunter/jumper shortly after his racing career, but that hasn’t been confirmed. Regardless of being shown or not, Trix loves to jump. His ears quickly perk up when he sees a hurdle near him that he wants to clear. Trix is also a solid trail horse who is not easily frightened outside of the barn. While his easy temperament and all around versatility make him great for our trail rides, Trix would thrive as a hunter/jumper or potentially an eventer. He would be suitable for any experience level, but would benefit most with an intermediate or advanced rider who can continue to push him to reach his greatest potential. 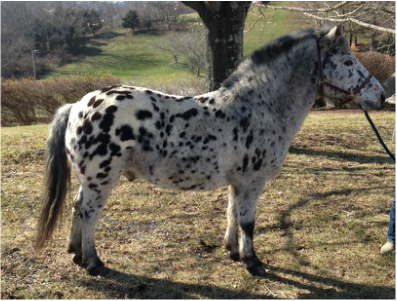 Chip is a 13 yr old Leopard Appaloosa pony who is register with the Ponies of America (POA) organization. He has been trained as a hunter/jumper and has been shown in the past prior to coming to Winterfrost. We have found that he behaves better in the arena than he does on the trail, but he is still adjusting and improving with his trail riding skills every day. Chip is an alpha in the field, but he has good ground manners and respects your space. Chip would be ideal for an intermediate rider who is looking for an experienced hunter/jumper horse for showing or simple pleasure. 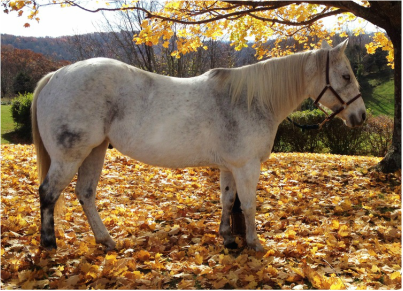 Daisy is an off the track thoroughbred whose age is estimated to be between 10 – 12 years. She has been trained as a hunter/jumper, and has good ground/field manners. We have used Daisy for beginner lessons in our arena, and she has done well with inexperienced riders. She has also done well on our trail rides. She is an all-around family horse who would be suitable for any experience level, and can be used for anything from trail rides to hunter/jumper showing. Daisy has crushing heels and would need regular hoofcare. She also has a poor topline and would be considered a moderately hard keeper. Dillon is an 8 yr old Quarter Horse who has great potential as a working, gaming, or roping prospect. He neck reins and has been started with some roping training but is still considered green. He has great ground/field manners with a sweet temperament even under saddle. Dillon has been a good trail horse for us, but he has more potential than what he is currently being used for. Dillon is suitable for an intermediate rider on the trails, but he would benefit greatly from an experienced rider who is willing to put the effort into furthering his training as a gaming/roping prospect. 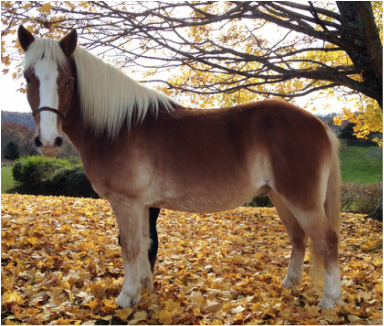 JD is a 7 yr old Hackney who is not naturally gaited. He was gelded as a 3 yr old and tends to still be an alpha in the field, but is respectful to people. He is trained at a walk/trot/canter, but is a fast mover who would need someone confident enough to keep him under rein. JD is a reliable trail horse who knows when it’s time to work. He is also intelligent, and with the proper training could be an all-around working or show horse. JD would be suitable for an intermediate or advanced rider who is looking for a good all-around prospect. July is a sweet tempered 16 yr old Belgian Draft who is ready to ride and drive. Winterfrost does not have registration papers for July, and we are not sure if she was registered by her previous owner or not. She has been professionally harness trained, and can be driven as a single or in a team. Her mother June (see adoption profile) would make a great partner for a driving team! Along with being harness trained, July can also be ridden under saddle at a walk/trot. She has great ground and field manners along with a wonderful personality that will win your heart! 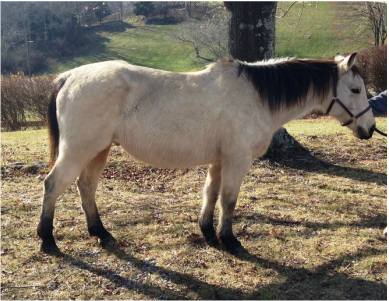 July would be great as a pleasure trail horse or as a driving horse. Ideally, we would like to adopt July and June out together so as not to separate them after being together for so long. We also have harness equipment that we can include with the adoption of both horses. 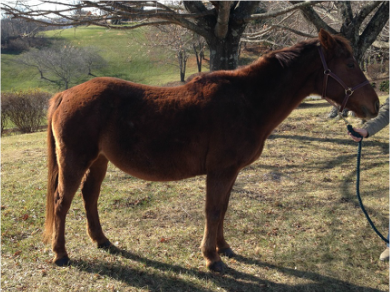 June is a sweet tempered 21 yr old Belgian Draft who is ready to ride and drive. Winterfrost does not have registration papers for June, and we are not sure if she was registered by her previous owner or not. She has been professionally harness trained, and can be driven as a single or in a team. Her daughter July (see adoption profile) would make a great partner for a driving team! Along with being harness trained, June can also be ridden under saddle at a walk/trot. She has good ground/field manners, but can be difficult to catch in the field. June does have severe ring bone, and would be limited to how much she could be used on the trail or driving. Ideally, we would like to adopt July and June out together so as not to separate them after being together for so long. We also have harness equipment that we can include with the adoption of both horses. Rose is a 13 yr Belgian draft who is saddled trained. We are unsure if she has been harness trained, but are sure that with the proper training she would excel as a driving horse. She has been used as a trail horse for the past three years and is ideal for the bigger rider. She can be lazy and stubborn on the trail, but she will commit to a trot/canter with much effort from the rider. She has great ground manners but is a bossy mare in the field. She would be suitable for an intermediate rider who has confidence in their riding ability and who is not intimidated by a larger horse. She would also be suitable for an advanced rider who has experience in training horses under harness. Ryan is a 23 yr old Irish Sport Horse who was a trained eventer and hunter/jumper who was shown at the collegiate level. Ryan has bilateral navicular in his front feet and needs special shoes. Because of this, his workload should be limited and one should be mindful of the rider’s weight that Ryan is asked to bear. With great ground/field manners along with a sweet temperament under saddle, Ryan would be ideal as a beginner lesson horse. 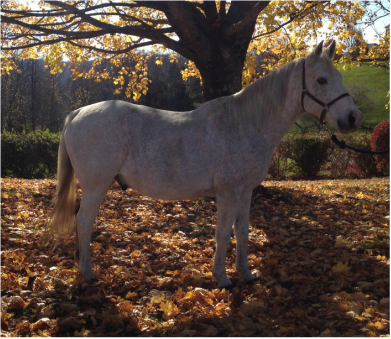 Stella is a 14 yr old Tennessee Walker Cross who is gaited, but not show gaited. Stella is a good trail horse, but is a quicker mover who often needs to be reminded that a pleasure trail ride isn’t always an endurance competition! She can be stubborn but has a sweet temperament with good ground/field manners. Stella can become wheezy if she is worked too hard and/or if she is on hay too long. 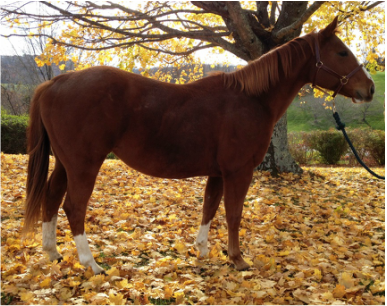 She would be ideal for an experience level who is looking for a good trail horse.